Australian brand Wearing Memories is thrilled to unveil their newest jewellery collection, Ready-to-Wear, blending style and quality at an affordable price. The R2W Collection features a ring, pendant, bracelet and buttonhole, all crafted from solid polished bronze and finished with Australian kangaroo leather. 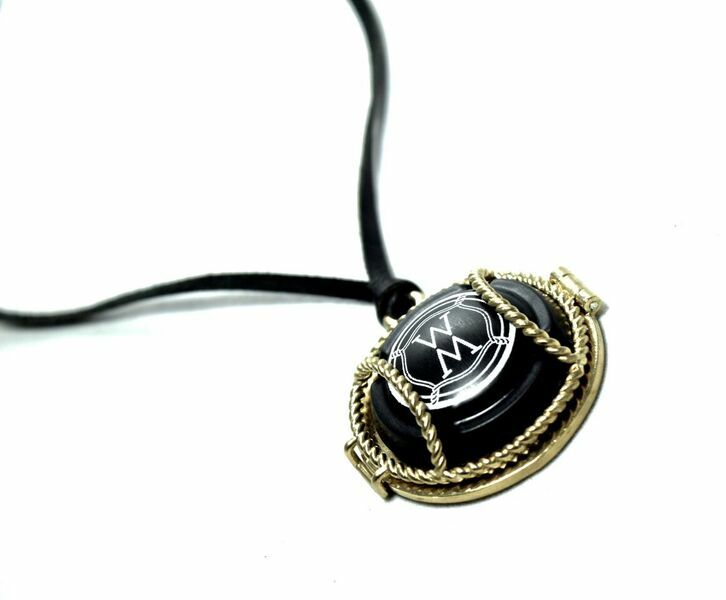 The collection is designed to hold the cap (Plaque de Muselet) from the top of a Champagne bottle that was popped in celebration of an occasion. Wearing Memories R2W is currently retailed in Europe, America, Japan and Australia and crafted for those who seek stylish heirloom designs at an entry-level price. Wearing Memories also offer a fine jewellery range in the Couture Collection and is also able to design and make one-off bespoke pieces on request.